Facebook and Pinterest are just a couple of places where you and your child can bond over your love of cats. Cats do own the Internet, after all. When I was a kid, I drew pictures and wrote stories about cats and shared them with my friends. These days, sharing fun cat stuff has reached a new level, and as everyone knows, cats own the Internet. Kids learn the most rudimentary computer skills early on, so children of almost any age are familiar with using a computer on some level. When my kids were very young, the almighty Facebook wasn’t yet born and Mark Zuckerberg was probably sitting in somebody’s basement playing Dungeons and Dragons. 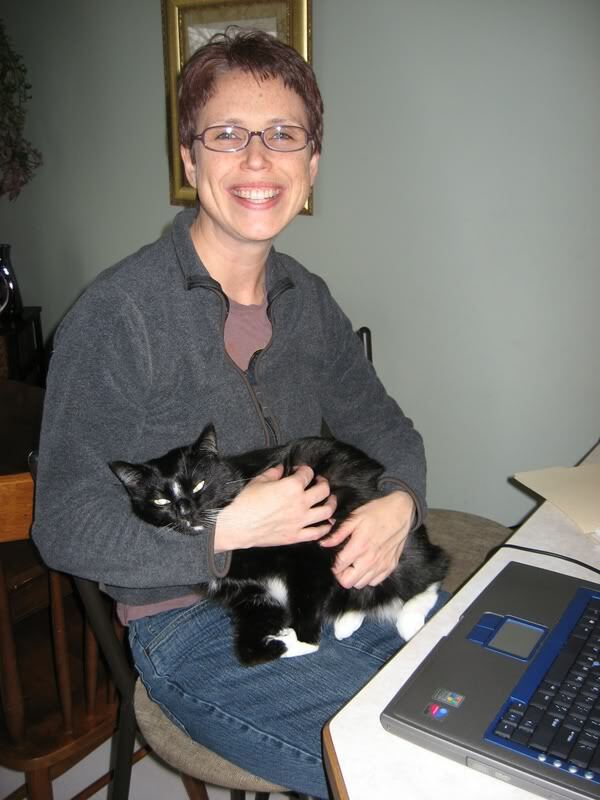 We spent hours online looking at cute and funny cat photos — I don’t even remember where we found them, but I do remember that being a major bonding time for us. In recent years, the Web has exploded like a giant global pi├▒ata and cats have landed everywhere. 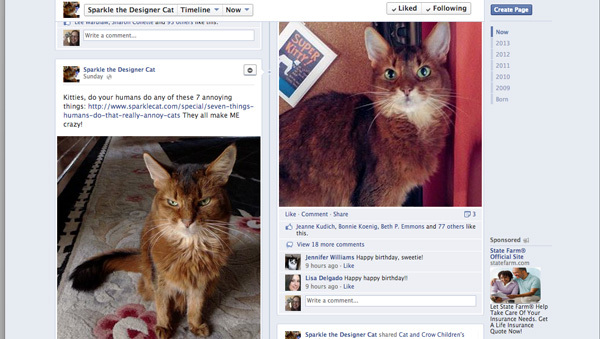 There’s no shortage of feline-related online hotspots. As always, practice online safety and, if your child is old enough to be online by herself, remind her to not give away personal information. 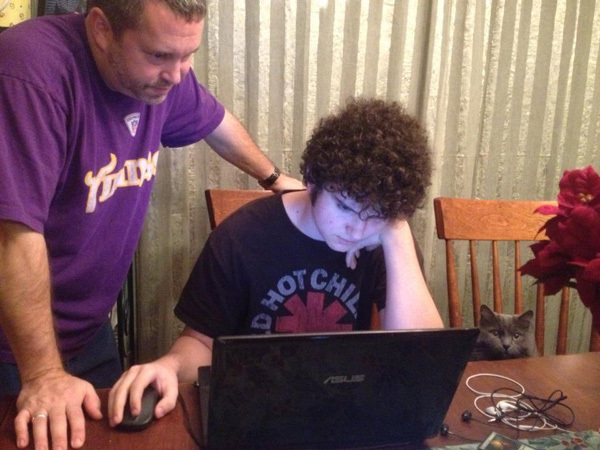 Here are six ways you and your child can have online fun with your cat. We have to toot our own horn on this one. Did you know that right here on Catster, there’s a vibrant community of cat lovers who create profiles for their cats, create and join forum discussions or groups, post kitty photos, and give and receive cool gifts and messages? 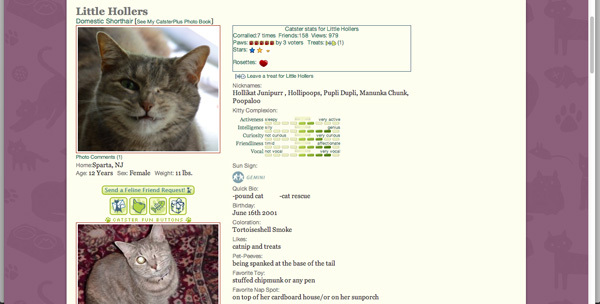 You can even create an online diary for your cat! You’re already on Catster every day, right? Why not build an even more engaging experience and bring your child in, creating more cat-themed fun? 3. 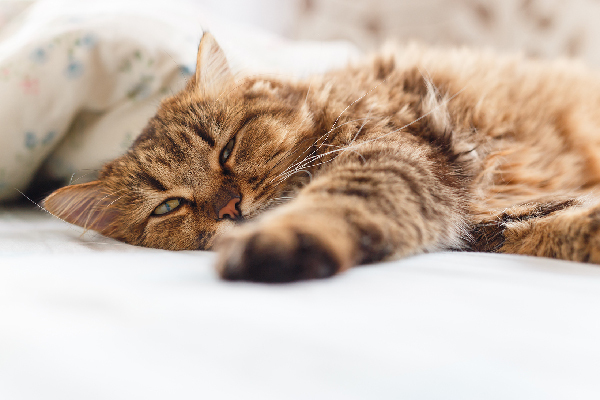 Your cat oughta be in pictures! Most mobile phones have great cameras that include a video function. 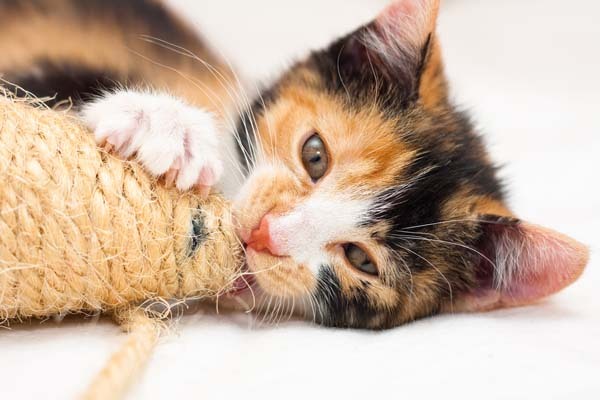 Why not encourage your child to create fun cat videos and either post them directly to the cat’s Facebook page or upload them to a YouTube account you create together? If you spend any amount of time on YouTube, you know that commenters can be downright nasty, so I suggest if you’re using the account with your child, turn off the commenting option. If you have an iPhone and haven’t used the Vine application, you really should. It’s a quick and easy way to make six-second videos that can be shared in several ways. The Vine above is one my kids and I made of our Phoebe. Pinterest is a virtual pinboard-a-palooza and is all the rage among those who are looking for fun and interesting decorating ideas, recipes, fashion inspirations and much more. 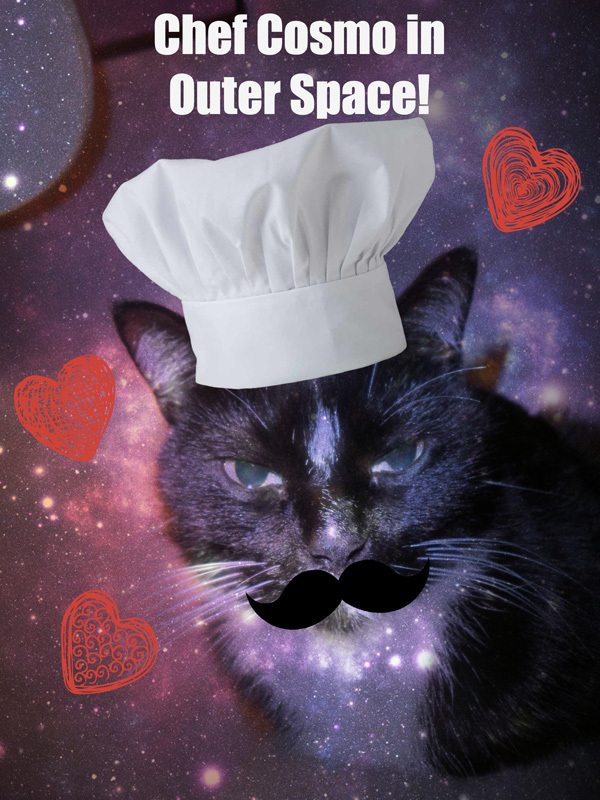 Catster has a really fun Pinterest page and I have one connected to my cat humor blog. Within your page, you can create multiple pinboards, so perhaps Mom or Dad can have ones for home organization tips, holiday decorations, or festive adult beverages. 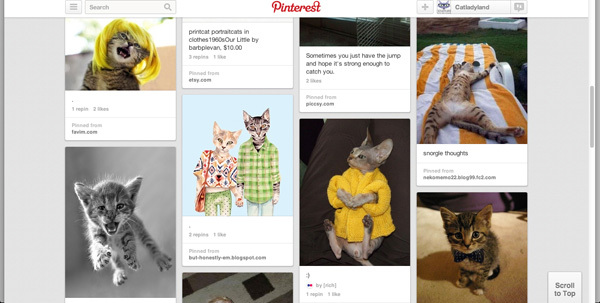 Then, you can create some fun cat-themed boards with your kids. I will tell you that there is no shortage of cute cat stuff on Pinterest. Post your own cat pics and find fun people to follow and re-pin their goodies. One word of warning: Pinterest is a giant rabbit-hole. Take snacks because you could emerge hours later and have no recollection of where the time went … and you might have a sudden urge for a melon colada served in a hand-painted canning jar. 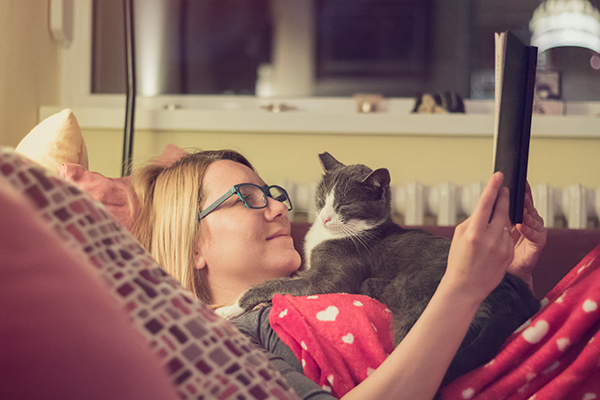 If you’d like to take the Catster diary to the next level, start a blog for your cat! 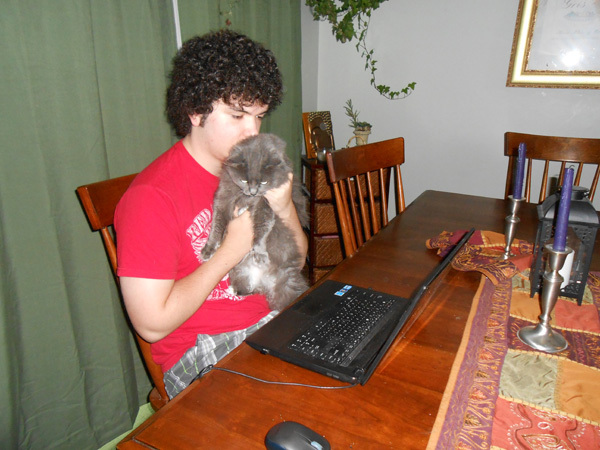 As a longtime blogger, I can assure you that the cat blogging community is thriving and very child-friendly. For a beginner, I’d recommend using Blogger — it’s super simple to set up and a breeze to update. Update as often as you’d like, but if you want to gather a loyal group of followers, I’d recommend posting at least once a week. Don’t forget to search for other cat bloggers to follow! When you comment on their blogs, they are likely to comment on yours. Before you know it, you’ll have a ton whiskered friends to which you’ve somehow become incredibly attached. This could be a total time-sucker if you allow it to be, but looking at and reading about cats is the best kind of time suckage, if you ask me. If you’re like me, your phone is full of cat and kid photos, so there’s plenty of material with which to work if you and your kids want to start monkeying around online. Speaking of monkeys, I’ve found that PicMonkey.com is the easiest way to edit photos. Depending on your and your kids’ level of expertise, Photoshop is a more advanced option you can try … but I love me some PicMonkey. On this site, you simply upload a photo and then you can adjust the exposure and crop it … but that’s not where the real fun is. Kids will love the ability to add shapes, hats, stars, bugs and all sorts of cool stamps to the photo. They can also create conversation bubbles and add text to make silly comics. Several backgrounds and textures are available to use as well. Really, for such a simple, free program (some options are available only on paid accounts), PicMonkey offers a collection of entertaining options. And users can share their masterpieces directly from the site. Do you have any tips for online fun with kids and cats? Tell us about it in the comments!